F8: Why I love the Fast and Furious Franchise | Charisse L'Pree, Ph.D. I throughly enjoyed The Fate of the Furious. Although it was not my favorite (Fast Five) or my least favorite (Furious Seven), it was fun and the references to earlier movies were just right. I went with a GF of mine who hadn’t seen 2-8 and she enjoyed it. So win-win. The movie opens with a car chase through the streets of Havana. They know what their audience wants. And they give it to us every time. I rewatched Furious Seven on Thursday before catching the new one. I remembered why it is my least favorite. The cars are no longer characters, they are tools with which to accomplish the task, which I don’t like. The cars have always been extensions of the characters and to demolish cars willy nilly seems sacrilegious to the cannon. However, every time I rewatch these movies, I always find scenes that I love. In Furious Seven, the team is passing Ramsey (their newest family member) between cars. Ramsey is a hacker who can’t drive (I’m OK with that, her skills lie elsewhere); she jumps into Letty’s car and the two women take off. Ramsey turns to Letty and says, “Whose coming to save us?” Letty laughs her off and says, “No one is coming to save us.” It is a beautiful anti-fairy tale moment. There are some beautiful moments in the film, from Helena’s return to Hellen Mirren as Mother Shaw. I also LOVE the early scene where Hobbs leads his daughter’s soccer team in a haka. I haven’t really processed the beauty of this in a mainstream Hollywood film, but I teared up a bit. Knowing his own commitment to his culture (they actually sent the haka script to be blessed by elders in NZ), I loved that Johnson performed this traditional Polynesian war cry/dance/challenge with a multiracial group of little girls ready to do battle. It was not appropriation, it was appreciation, and the clip below features the importance of this moment on set, teaching the girls of the emotion and memory that is part of the haka. 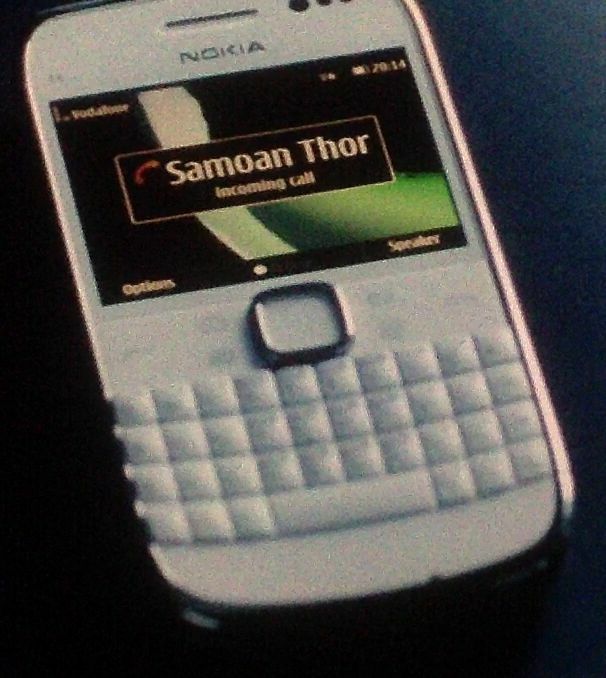 The F&F franchise, the actors, the characters, the locations, the narratives, provides a platform for the mix of cultures, histories, and people on a global stage as “normal.” At no point does Hobbs talk about his culture (although in 6, it is revealed that he is in Tej’s phone as “Samoan Thor“), it just is. The word “haka” isn’t even mentioned. I am certain that there were people in the audience who had no idea what was happening, and their bewilderment was reflected in the faces of the rival team onscreen. If you don’t know, you better ask somebody. IMO this is the future of filmmaking. Charlize Theron as the villain was much better than I had envisioned. I was originally disheartened by her addition to the “family.” I love the F&F franchise for their embrace of multiracial, international casts, and Theron’s striking whiteness (i.e., very white skin, very blond hair, made more evident by her very horrible locks) is antithetical to the phenotypes of the team. But this seems intentional; Cipher is a villain, who doesn’t care about life, family, or cars. She hacks thousands of cars and literally hurls them at her targets. By taking the car-as-tool metaphor to the extreme with Cipher, the viewer is encouraged to despise her. But more importantly, she appropriates Dom from his family (and Letty on their honeymoon in Cuba) and then flaunts her power in classic “mean girl” fashion (i.e., kissing Dom in front of Letty to demonstrate that she is more desirable and powerful than this little brown girl from East LA). The locks are just a metaphor for the kind of woman she is: the kind of white woman you love to hate in a post-Dolezal world. I also found myself cheering for the Shaw family. What I love most about the franchise is the opportunity for villains (or those working against the family) to redeem themselves and become part of the family: Brian (1), Gisele (4), Hobbs (5), Owen (6), Deckard (7). This is explicit in the very first scene of F8 (and reiterated by Cipher later in the movie), where Dom races Fernando, a Cuban boss who wants to muscle Dom’s cousin. The boss tries to kill Dom during the race, but Dom forgives him, lets him keep his car, and Fernando becomes an ally. This is the family way, and I love it. 727 Days to April 19, 2019. This entry was posted in Blog Posts, Movies and tagged Culture, Family, Globalization, Identity, Movies, Youth. Bookmark the permalink. Yes! All of the things I loved about the movie but forgot to articulate in my own blog post because I was SO VERY ANGRY that they killed Elena. What do you think about her death? I hear you. I didn’t think that she needed to die. I had a debate with a friend who said, “There’s no room for baby’s mommma’s!” I was not OK with that, because family. The beauty of F&F is the fact that the alternative family (i.e., one that you have created for yourself) is just as important if not more so than genetic family. “The most important things in the world are right here in this room” (Fast Five). When Elena appears at the end of Fast and Furious 6, Dom tells her that she can stay and Letty thanks her (and she’s probably thanking her again for giving them a baby as mentioned at the beginning of F8); she is family. I wanted Elena to live because I wanted the movie to demonstrate that family is family, and there is always room for baby’s mommas. But I understand the need to progress the narrative: I don’t think the Shaws would have been able to retrieve the both of them; the baby would have still been behind glass if she was alive; it cemented Cipher as a ruthless b!tch; and it gave Dom a reason to kill the “redheaded boyfriend,” something that has never been featured (see the Robin Hood complex in Los Bandoleros (2009) and explicitly mentioned by Elena in Fast 5). PS: I hope the baby’s name is spelled Bri-Han. I was bothered because Brian didn’t die in-world (Walker died, but Brian and Mia just moved away to raise their family), but Han did. #justiceforhan. Reblogged this on The Critical and the Curious.